It's been a while now since the refurbishment of the Malmaison on Newcastle's Quayside, and although they haven't featured here on New Girl in Toon for quite a while, the Malmaison is actually one of my most visited places in Newcastle (to the point where most of the bar staff now know me - embarrassing!) and is my favourite place to "latte and laptop". 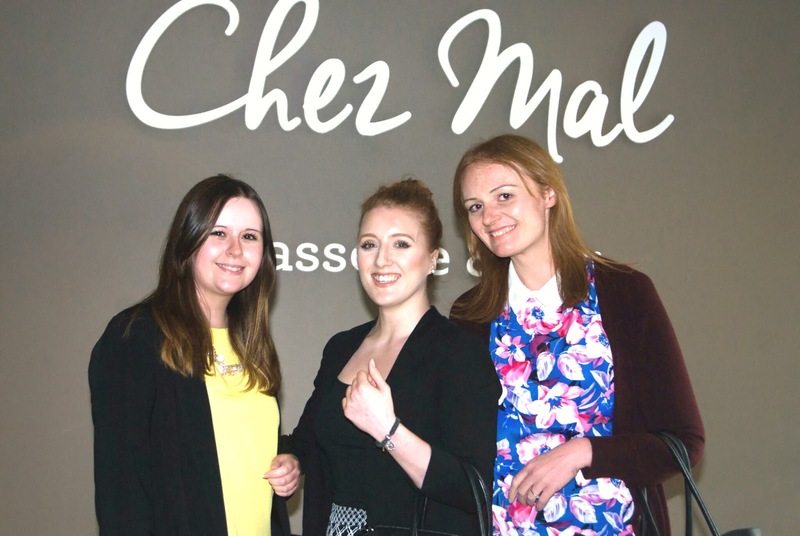 I was recently invited to "Spring into Summer" with a VIP launch night of the Mal's new Summer menus. Newcastle's biggest food fans gathered in Chez Mal, eagerly clutching plates and forks ready to tuck in. Our evening began with the a la carte menu where we happily tucked into a variety of dishes from the Starters Menu including tempura of calamari (the batter was so light and more-ish I think I ate more than my fair share!) 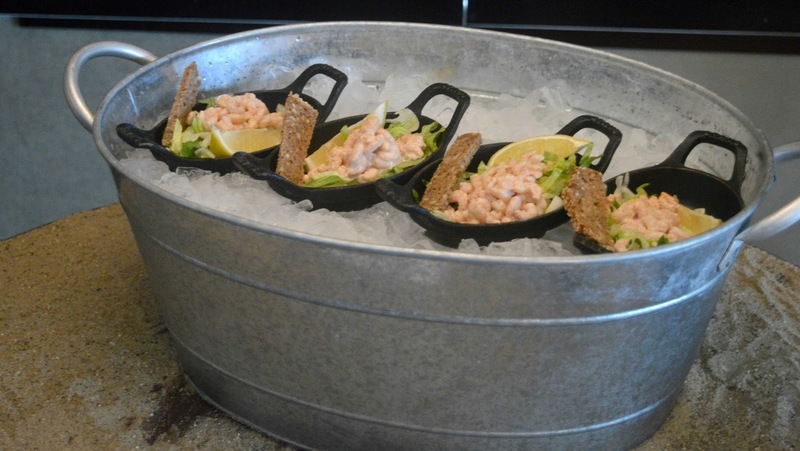 and classic prawn cocktail served on crisp iceberg with rye bread. and then moving onto the famous Mal Burger served with sweet cured bacon, Gruyere cheese and relish. These were disappearing off the table as soon as the Chef brought out more, they were so popular and rightly so! I've never been disappointed by a Mal Burger. Saving the best to last I was like a kid in a toy shop when I spotted the giant sized afternoon tea stand that had been set up in the corner of the bar. Showcasing the new look Mal afternoon tea I was seriously impressed with the new additions. 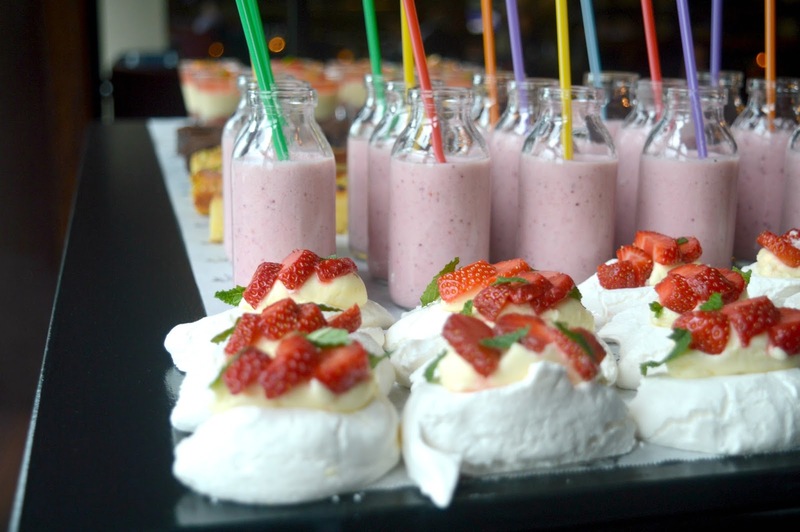 I do love an afternoon tea that's a bit quirky and different and the Mal's latest twist fills the cake stand with wraps, a mini burger, strawberry & vanilla pavlova, salted chocolate brownie, lemon & polenta cake, rhubarb & custard trifle and strawberry milkshakes. 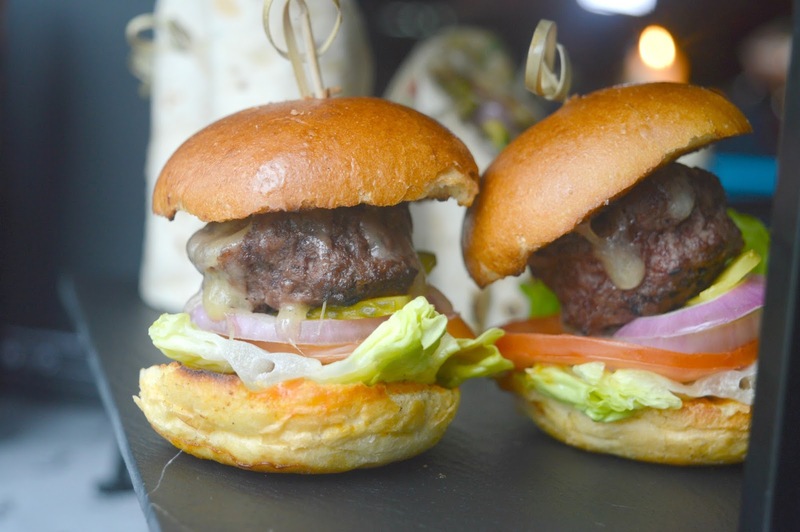 I've enjoyed so many meals at the Malmaison since moving to Newcastle and have always been so impressed with the food. I'm definitely looking forward to trying out some more dishes this Summer. I hope you enjoyed that sneaky peak of what you can expect at the Malmaison Newcastle this Summer. 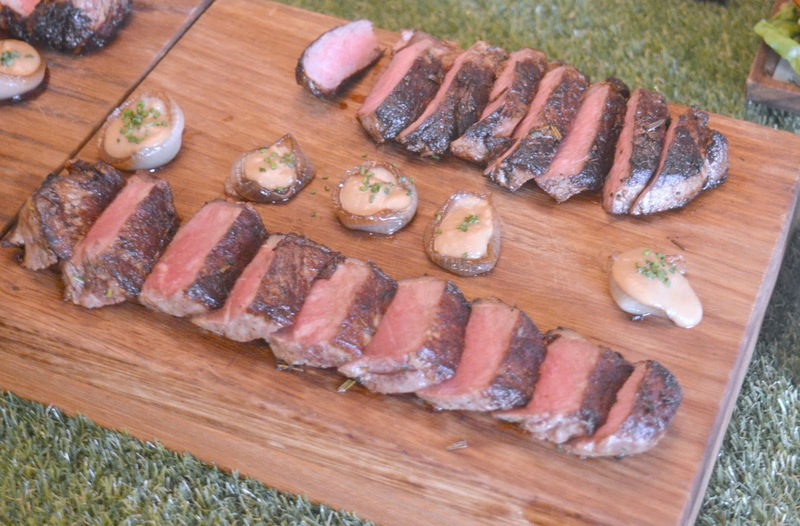 I was invited to the event by Malmaison and enjoyed complimentary samples of the new menus. All opinions are my own. 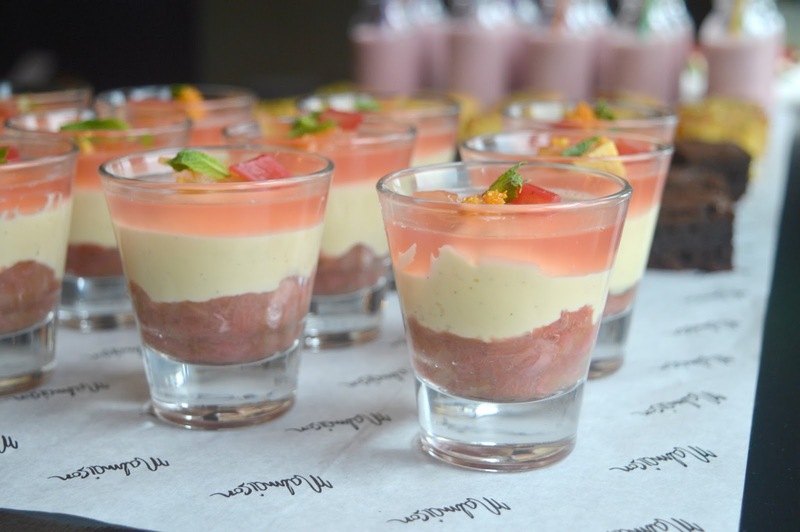 Oh wow, this food looks amazing, it's a good thing I wasn't there or I would have eaten all of the desserts, although the seafood looks fabulous too, you know, I've only eaten at Malmaison once, I really need to give it a go. Malmaison as a chain are dog friendly too which is a must if you are me. Those burgers look so good. I love Malmaison Manchester so I'll check it out if I'm ever back in Newcastle.